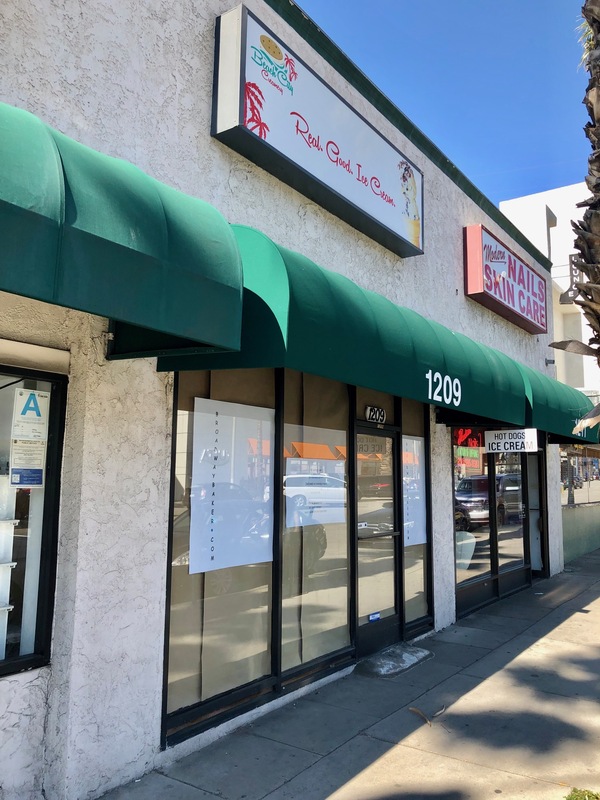 Santa Monica is about to get a whole lot sweeter… It wasn’t that long ago that I told you about the disappearance of Beach City Creamery (formerly Beachy Cream) from its address at 1209 Wilshire. Paper is now up on the windows telling us about another treat shop moving in. With one location in the Arts District Downtown, it looks like Broadway Baker is taking over the space. And what’s on offer? Known for their gift boxes, Broadway Baker prides itself on hand crafted, all natural premium baked good from three generations of family recipes, including their salted caramel brownies, once prominently featured in O, The Oprah Magazine. When you consider how much energy, expense, and talent goes into the opening of a restaurant, any closure is a sad event, but this is truly sad… Retro-themed ice cream shop Beach City Creamery (formerly Beachy Cream) has finally closed its doors at 1209 Wilshire in Santa Monica. They had made a valiant effort at keeping the doors open in the cozy Santa Monica neighborhood, but they have delivered their last artisan ice cream sandwich. We wish them the best of luck in their future endeavors.